You really can’t go wrong with our classic silver dimmer switch. 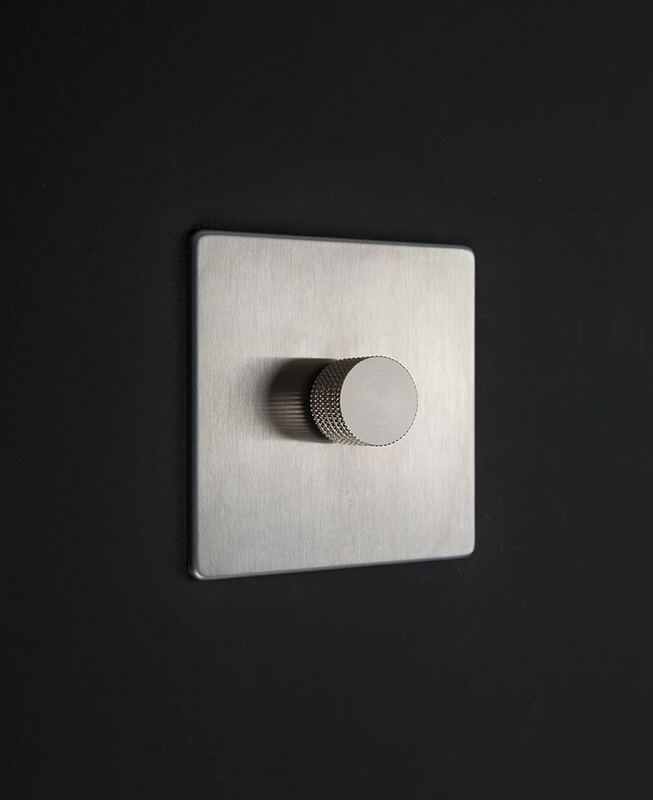 Understated, and with the exceptional quality and style you can always rely on from D&R, it’s the ultimate go-to switch for cool interiors. Pair it with stainless steel fixtures and fittings for the icing on the cake. This is undoubtedly our most aesthetically versatile switch. This clever little thing can easily make itself at home in all types of interiors, accessorising your walls with a touch of understated sophistication. When it comes to interior finishing touches, it really does tick all the boxes: it looks great, it feels great and it performs like a dream. Made from brushed steel, the beautiful grey tones of the plate are incredibly easy on the eye and would sit beautifully on plain, patterned and textured walls, without vying for attention. 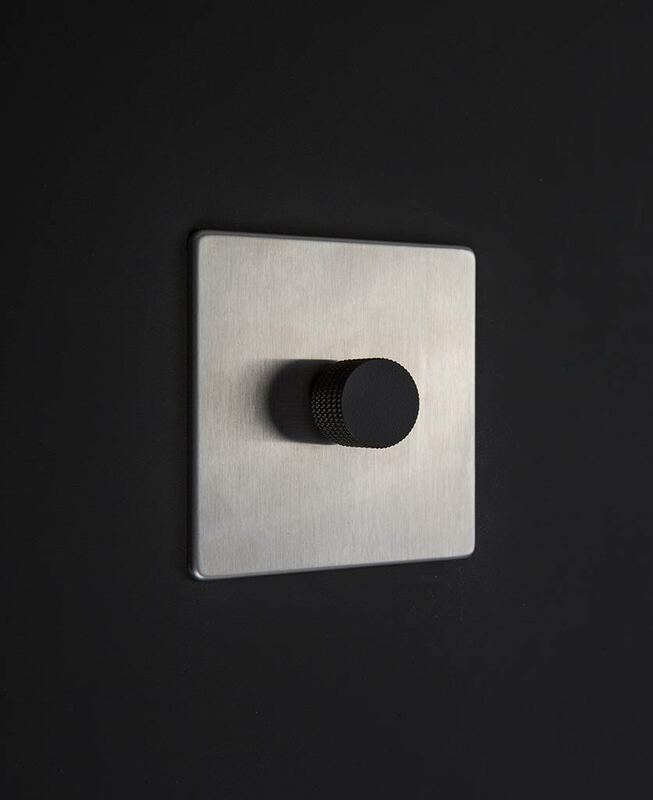 We’ve paired it with a marvellous knob which has a tactile knurled edge and silky-smooth front – lovely to get hold of! And the fun bit is that you get to choose the knob colour to match your interior. Choose from black, gold, white and silver – they all look great so there’s absolutely no way you can go wrong! And if you’re now feeling extra-inspired, take a look at our matching double dimmer switch, our other coordinating silver light switches and plug sockets. If you do, you’ll probably find our light switches explained guide really useful too. It’ll help you navigate your way around the differences between 1, 2 & 3 gang, plus when to use 1 way, 2 way and intermediate switches. Baffling! 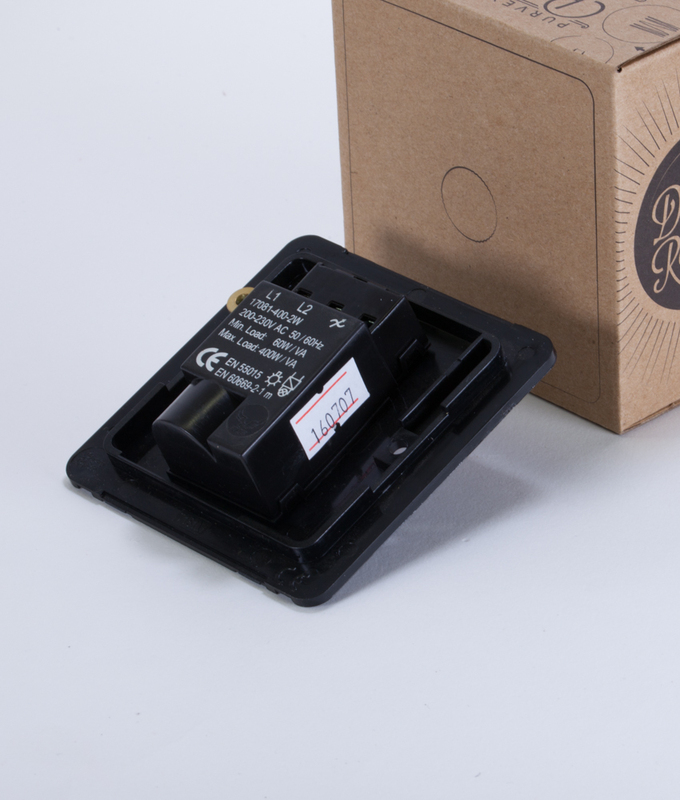 One thing you can be sure of is that when you unpack your dimmer switch delivery, you’ll immediately feel the quality and see that we really do live by our ‘design details that matter’ motto.